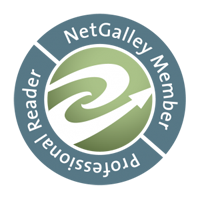 You can follow Lit, etc via Twitter, Facebook, Networked Blogs, or subscribe to the blog via email. Please let me know if you’re a new follower and I’ll follow back. Q: Tell us about your favorite outdoor reading spot. Or take a picture. Well I can’t really sit outdoors in the Spring and Summer because I have a slight sun allergy. No matter how much sunblock I slather on, I might be okay for an hour before the itching hits me, usually about an hour or two later. So I’ll read indoors, but I can tell you about my favorite spot when I was living in Scotland. This is the Kelvingrove Park area in Glasgow. It’s located behind Glasgow University and it’s very much a classic example of a Victorian park in terms of its layout and foliage. 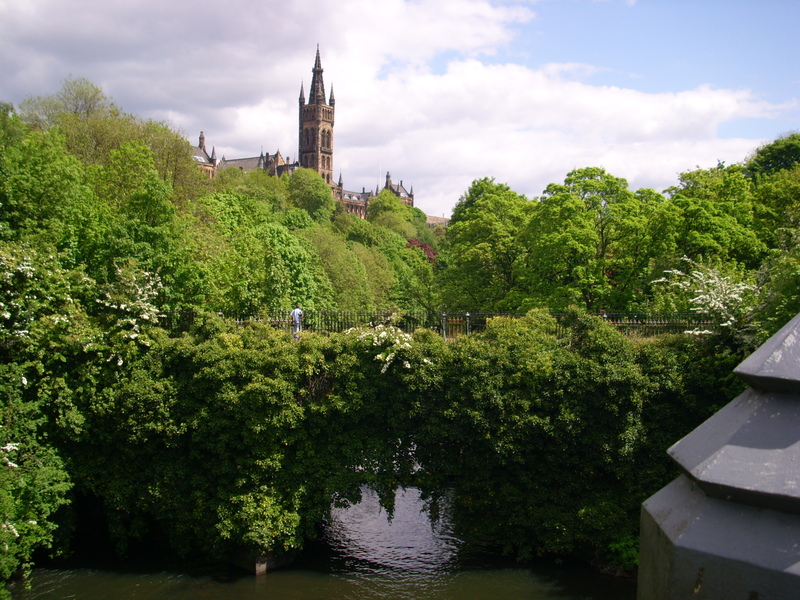 The River Kelvin runs through it and at the southwest corner of the park is the Kelvingrove Art Museum. I loved reading here because of the trees and on a breezy day, it was easy to put a book down and imagine the Victorians strolling on a warm dry day. It also was the perfect way to relax and get lost in a book. I miss this city so very much. Reading outside can be distracting especially if there’s a lot of people around. I always feel a bit self-conscious too wondering if anyone is judging what I’m reading. LOL! That is a gorgeous view. It’s one of my favorite pictures. the place is a dream to get lost in a good book. What a beautiful spot! Scotland is one of those places I’ve always want to go and hope to be able to visit someday. 😀 Old follower via email. I hope you get to visit one day! Everyone around me was surprised when I announced that’s where I was going for grad school because I never expressed any interest in the country. I just fell in love with her and I miss her so much. That’s sad about the sun allergy 🙁 But omg that park looks heavenly! Right at the start of spring and middle of summer is when it hits and then it just tapers off. :/ The park is a dream! It’s a great place to read, but it being Scotland lots of rain. LOL! So sorry about your sun allergy! I prefer the indoors for reading… and everything else 😉 That picture is GORGEOUS!! I just read a book set in Scotland and it was wonderful. Thanks for sharing! I try to stay away from books that feature Scotland because I’m moping around for days. I miss it a lot. Oh this is so pretty, next time I go to Glasgow I’ll be sure to look out for this spot!